'Tis the season to be jolly! Bring home the tidings of the season with Christmas wreaths to suit your decor. and maintenance services in UAE for 30 years. 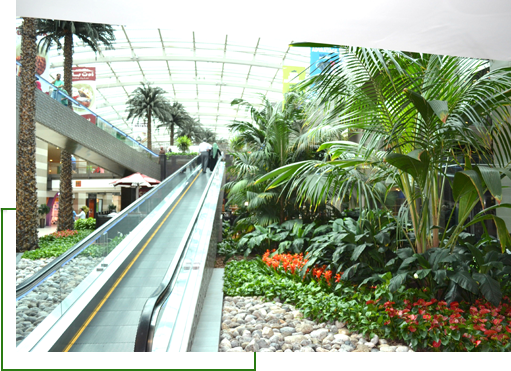 Only UAE-based landscaping company with 40,000 m2 dedicated climate-controlled production facility. Our Projects speak of our passion and perfection. Imported and locally sourced fresh live plants are available in quantity for rapid delivery across the UAE. Preserved plants offer instant size and volume with no or little maintenance requirements. Gorgeous artificial plants that seem near natural and green, and last for long. Plant display pots in a wide variety of styles, colours and materials to choose from. As an industry leader in the design, implementation, and maintenance of interior landscape projects, we have the capacity and expertise to deliver a full range of end-to-end solutions for interior planting. This includes everything from the initial consultation through the development of the design philosophy, and the preliminary and detailed designs, to the final implementation and continued maintenance. 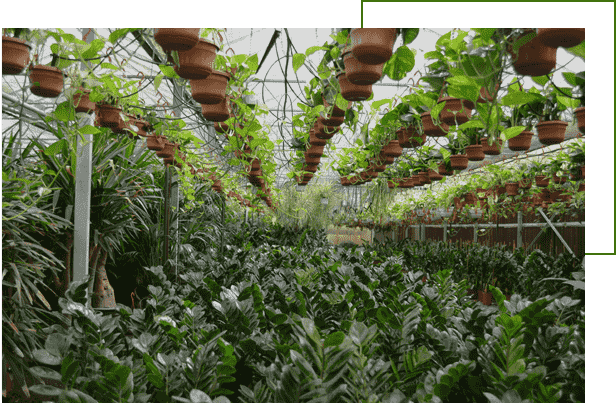 At Siji Greenhouse, we have been importing, acclimatizing, growing and distributing live plants throughout the UAE, for nearly three decades. Over these years, we have also added artificial plants, planting pots and preserved plants to our extensive range of products. At Siji Greenhouse, we have been importing, acclimatizing, growing and distributing live plants throughout the UAE, for nearly three decades. We have one of the largest production facilities in the region for indoor plant products. This helps us ensure the best quality and to offer you the widest variety of choices. Over the years, we have also added artificial plants, planting pots and preserved plants to our extensive range of products. Our core strength is a self-sufficient state-of-the-art 40,000 sq. m. dedicated production facility.